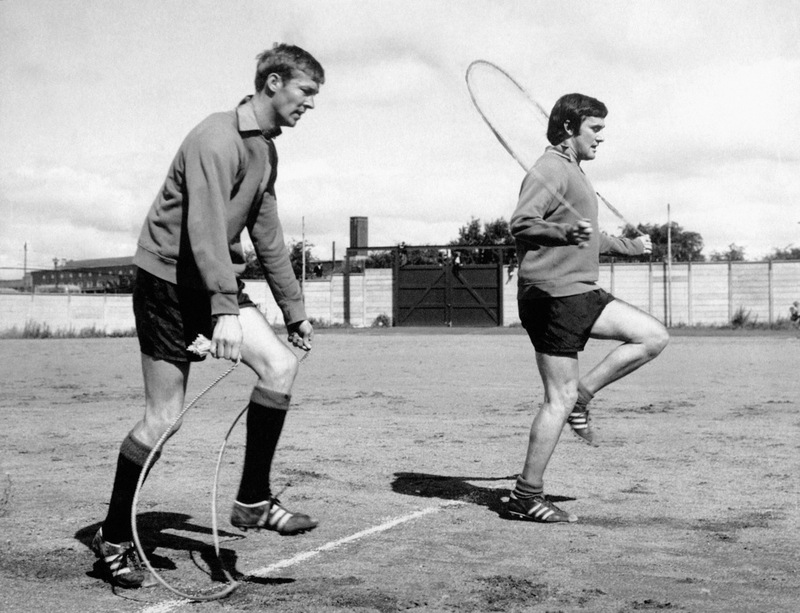 Rangers stars Alex Ferguson and Jim Baxter, sentenced to a long, hard session of skipping during a training session in July 1969. Fergie left Ibrox a couple of months after this photo was taken, having been blamed for a costly mistake against Old Firm rivals Celtic in the 1969 Scottish Cup final. Baxter, one of Scotland’s greatest talents, was then in his second and final stint at Rangers. He retired in 1970, aged just 31. Good Christ, SAF looks exactly like he does now; though I’ll admit the slightly dodgey haircut looks like something I had when in the 2nd grade.